Award-winning stand-up, storyteller, wordsmith and star of BBC's 'Live at the Apollo' returns with his new UK tour. SOLD OUT Contact us to be added to the waiting list. 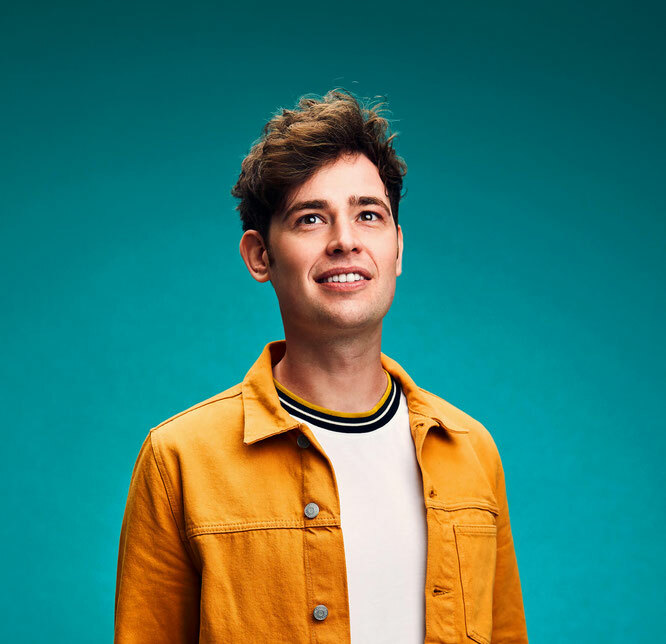 Star of Live At The Apollo (BBC) and Roast Battle (Comedy Central), Brennan Reece returns with his third UK tour - Evermore. All through his life Brennan has been dead set against the idea of falling in love forever. It never worked for anyone close to him. His Mum and Dad split up after four decades. His brother and sister are recently divorced (from different people) and after almost 70 years of marriage even his nanna and grandad parted ways (but that was mainly due to death). For Brennan, love wasn’t for him… until suddenly, it was. 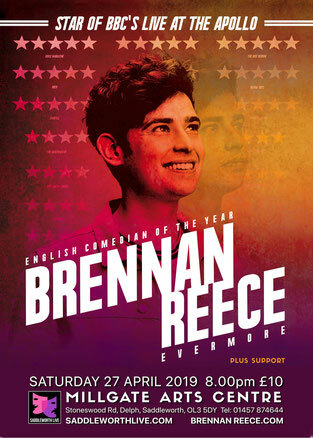 Like Brennan’s previous two shows (Everglow and Everlong) Evermore celebrates the marvellousness of the women who have made him who he is today. And his obsession with the internet. Completely underscored with music from a live band, this is a truly captivating story from a true working class wanderer. A show about the beauty of love, and how fragile it can be. Brennan is a multi award winning working class wordsmith (Edinburgh Best Newcomer Nominee and English Comedian Of The Year Winner). A stand-up, a storyteller and self confessed mummy’s boy. His boyish cheeks recently cropped up on Survival Of The Fittest (ITV), The Stand Up Sketch Show (ITV) Live At The Comedy Store (Comedy Central) and racking up over 6 million YouTube hits for his stint on Top Gear (BBC). A true Northern voice, with family close to his heart. Your Mum is going to love him! Not like that, you dirty little perve. Bookings can be made in person, by phone or online. The box office (at Delph Library) is open Tuesdays 2pm–5pm; Wednesdays 2pm–7pm; Thursdays 1pm-6pm and Fridays & Saturdays from 9:30am–1pm. The box office at Delph Library telephone number is 01457 874644. Tickets must be paid for at the time of booking. You can select your seats at the time of booking. Tickets are non-re-fundable. New comedy from award-winning stand-up, storyteller, wordsmith and star of BBC's 'Live at the Apollo'. SOLD OUT (contact us to be added to the waiting list). The legendary jazz singer returns to her most beloved songwriters: Bob Dylan, Jacques Brel... and more! A traditional family pantomime for all the family. Tickets now available for 2019!! !